“The Departed” is an American crime film, released in 2006 was directed by Martin Scorsese and written by William Monahan. It was produced by Graham King, Brad Grey, and Brad Pitt, and featured stars Leonardo DiCaprio, Jack Nicholson, Matt Damon, Martin Sheen, Mark Wahleberg, as well as Alec Baldwin. It had been considered as a remake of Honk Kong crime thriller film known as Infernal Affairs. During the 79th Academy Awards, it was nominated for five Academy Awards, in which it won four of them; Best Director for Martin Scorsese, Best Adapted Screenplay for William Monahan, Best Picture for Graham King, and Best Film Editing for Thelma Schoonmaker. The film is an old drama that shows gangster exploration. It also features how Billy Costigan, a police informer works as an undercover to monitor the activities of the Irish mobster and Colin; a hardened criminal works as an informer in the police to the gangsters. In The Departed, Martin Scorsese demonstrates a perfect example of a classic gangster-genre where he uses Motif, Mise-En-Scene, Symbolism, and Cliché to illustrate the overall theme of incompetence, corruption, and also the fight between the police and the criminal. 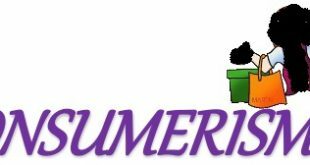 There are many themes in this film, and one of the major themes includes the concept of identity, which affects actions, self-assurance, dreams, and also dreams. There was a father-son relationship that went throughout this film. A father figure in the movie is an act by Costello; he was the father to both Billy Costigan and Colin Sullivan. Costello’s foil in the film was Queenan, which is another father figure role in the film. Both sides were presented as an Irish-American father archetype. Also, Sullivan calls Costello “Dad” at any time he wants to inform him of the next activity of the police. Colin Sullivan acted as a pretense as good guy in the day, but reported to Costello every night they saw. Another part of his act is the way he hid his real identity from the cops in the State Police, as well as his personal friends. His ambition was also motivated through climbing the rings of the society in the highest height he could go which is a symbol of the Gold Dome of the Massachusetts State House which is very close to his home. As much as he climbs, he still always bears in mind his major connection with Costello. His ultimate respect for the law enforcement institution was shown to be almost real. Furthermore, another part of the theme of this film is the rotten system, which allows the bad guys to consistently hurt good people, such as Costigan. Alec Baldwin played a character where he largely represented this system (rotten system) where he was a straight stereotypical Republican. He was also a man who didn’t even think Sullivan was a suspect and he was so confident vouching for him and consistently praises him, and he still keeps unintentionally undermining the work that are attempted by the characters Mark Wahlberg and Martin Sheen. Where they tried to run some snitches, (done by Costigan) in order to capture Costello. But the police and government were in support of Costello for several reasons. The movie was more of some sorts of deceptions. There was this borderline corruption as well as incompetence that went through different characters, most especially through the characters Dicaprio and Wahlberg/Sheen. The real life situation of some bad activities that go on in the Government which constantly occurred was a replica in this film. It resulted in such catastrophes just as the one in Iraq War, as well as a reaction to Hurricane Katrina. It was also seen in the regular deception and scandal that enfolded Washington in largely increasing amounts. Finally, the final scene shows a rat on the window ledge of Sullivan’s home. Though Scorsese acknowledge the fact that it indicates something and shouldn’t be taken literally, however, it symbolizes the “the quest for the rat” as shown in the film and also an indication of distrust among the characters in the film. The view of the window where the rat was is to really portray the film as a gangster film, just like any other ancient gangster movies such as Scarface released in 1983, or White Heat in 1949. Frank Costello who acted as Nicholson, an Irish-American mobster introduced Colin Sullivan who acted as Damon in his childhood to an organized crime in the Irish neighborhood of the well-known South Boston. As he grew, Costello keeps educating him to become a unique mole within the Massachusetts State Police (which specializes in organized crime), until the Special Investigations Unit accepts Sullivan. Prior to the graduation from the police academy, DiCaprio is recruited by Wahlberg and Sheen to go undercover, while his family is tied to the organized crime that makes him an amazing infiltrator. At a point in time, he drops out of the police academy. On the cause of a fake assault charge which was aimed at increasing his credibility, he was charged to prison. Different infiltration went on and on in the film and Sullivan starts a romance with a police called Farmiga. But Costigan keeps seeing her under the condition of his probation, and they just had to begin a relationship too. The moment Costello breaks loose a sting operation, each mole started knowing about one-another’s existence. As it were, Sullivan is then told to search for the “rat” and then asks Costello to obtain information to identify who the informer is. Costigan keeps chasing Sullivan through the Chinatown, and when this ended, none of them knows each other’s identity. Also, Queenan was tailed to a meeting with Costigan through the roof of a building. Queenan was still able to order Costigan to run away quickly while he confronts Costello’s men by himself. But unfortunately, Queena was thrown off the building to his death. After they left, Costigan pretends to join their crew. News over the television reveals that Rolston who is a crew member has been a spy, for the Boston Police Department. As Queenan’s phone was used to track other some of the bad guys, thus, Costigan was reached by Sullivan, who never wanted to abort his mission. Costigan was able to help in tracing Costello to a cocaine drop-off, a point where a gunfight starts abruptly between the police and Costello’s crew, this then result in the death of most of the crew members. Later, Costello was confronted by Sullivan, and he admits he is an informant to the FBI. As Costello tries to pull a trigger against Sullivan, Sullivan shoots him countless times. The next day at the police force, Sullivan was applauded by everyone. As Costigan comes to Sullivan to restore his true identity, and also to collect his pay for the job done, he notices Costello’s envelope on Sullivan’s desk, he immediately left the arena, and this made him believed Sullivan has his enemy. Sullivan was scared of retaliation; he immediately erases Costigan’s records from the force computer system. Costigan had an affair with Madolyn without Sullivan being aware of it, but she informs Sullivan of her pregnancy. Later, Sullivan happens to find out she was listening to a CD containing some incriminating conversations that were recorded between Sullivan and Costello from Costigan. But Sullivan could not successfully mollify her suspicions. Sullivan immediately contacts Costigan, who opens up that it was Costello that recorded the conversations. They then decided to meet in the building where Queenan was killed. It was on the roof that Sullivan was caught by Costigan and then he handcuffs him. Costigan actually arranged others to join him. Anderson was also seen to appear on the roof, while he draws out his gun against Costigan, in an attempt to justify his actions, exposing Sullivan as revealing Sullivan as Costello’s mole. At that moment, Costigan immediatey asks Brown the reason why Dignam did not come along with him as requested by Costigan, but Anderson never answers him. They then move to the elevator, as soon as it reaches the ground floor, Dale shoots at Costigan, and then also shoots Brown, and he reveals to Sullivan how Costello had been using his more than one mole to act in the police. On hearing this, Sullivan shoots at Dale. A funeral service was held for Costigan, where Sullivan observes Madolyn is filled with tears. Just as they were leaving the gravesite, Sullivan tries to talk to her, but she ignored all his words. The moment Sullivan reaches his apartment, Dignam ambushed him and the shoots him as he enters. The motif used by Martin Scorsese in this film was how he explored a fascinating piece of creativity in the movie. He scattered Xs at almost every scene throughout the movie, where some were more difficult to detect than the others. He used them as a symbol to indicate an impending doom, these were very cool. The film is illustrated by some mise-en-scene elements. These elements are a constant theme featuring the gangsters that want to by any means achieve success and get to the top. But somehow, they were seen to become the object of sociological study, and their ambition and greed actually doomed their quest to ethnic assimilation. This film reveals the story of the pretense between of a cop within the criminals, as well as the criminal within the cop. A different layer of realism and texture is featured in this film through the way each scene is put together. There was this classical connection between in the film is the good and evil that was perpetuated. There were different representations of interpretation to the different decision impacted from the characters. The mise-en-scene of this film is totally based on good and evil among each character. Furthermore, the characters were all about heavy Irish accents, and the Boston streets play a major role in this film. They really portrayed the Irish culture throughout the narrow streets, the region, where all the gangsters know each other and their neighbors understood what was going on and they all kept their mouths shut in a cooperative manner. There was more portrayal of psychology in this film. Considering the mental toll that is taken up by the character who pretends to be a cop amongst the Police and he’s a criminal, as well as the one who pretends to be a criminal, but is actually a cop. There was also a role of psychology with Colin Sullivan’s girlfriend and even Billy where they to communicate with one another and there is this confined emotions and energy. The major task for Colin was to find the rat, and Billy was the rat he was to find. This was an organized feeling of paranoid trust issues and thoughts. The make-up and costumes were another role of mise-en-scene in this movie. The roles performed were a clear depiction of the clothes being worn by all the characters. For example, the gangsters wear bland casual outfits just like beige, brown, and black which make them stereotypical in their appearance as henchmen in the organization. Frank Costello, who is the leader, was seen to dress in flashy expensive suit to make him different from the others. Obviously, his outfits represent how powerful he is. The police maintained the usual street trooper uniform or the bland collared shirt and also with their tie, which is usually light blue or white. Colors usage was very symbolic to this film. The scenes in the department of the police are brightly lit with natural light, and they made sure all the officer and detectives have their bland, lightly colored wears which represent them as the good guys. All the gangsters, who are definitely the bad guys had beige, brown and black as stated previously. In addition to this, there was the use of red which foreshadows and occurrence that will take place especially ending with violence and/or bloodshed. The film was perfectly lighted. There was this lack and white feeling of the 1950s in the film. Also, the lighting is perfectly bright for a feeling of the good guys. Also, the shadows, darkness, and lighting represent crime that occurred in the shadows. Anytime it shows, the criminals are often in dimly lit building, though half of their faces can be seen from the shadows of the light. At the end of the film, a shot of a quick rat was shown. It was an indication and representation of the plot, that is, the film was about the chase for the rat, and the theme totally demonstrated self-identity as earlier stated. There are few symbolisms in this film. The movie is a portrayal of who Matt Damon is. He was the exact opposite of who he really is, and it became difficult to say if he was actually a gay or not. He was also able to use the gold dome. The gold dome building is the Massachusetts State House, generally known as the commonwealth’s capitol building. A view of an entrance at the building, but when he moved closely, he was becoming sure of an entrance through it. Another symbolism is the rat in this film. It was revealed at the end of this film and it symbolizes obviousness – the killers in the movie. This was demonstrated in the plot, how they were chasing themselves till they killed each other. Finally, the building is a symbol of the Massachusetts State House. It was visible through several scenes in this film and keeps having different characters featured around and in it. In summary, the major significance of this symbolism is that it was the major ambition for Colin Sullivan. It was obvious that he keeps looking at it from his apartment as many times as he wants. For Damon, the building was his own political ambition so that he could achieve the shiny gold dome of the state house – his ultimate goal. The overall action of this film was mind blowing and it is one of the greatest films of all time in the history of the American films. The significance of the creativity from the director was explicit to the reality of life and the story line depicted some instilled thoughts in the mind of the audience and viewers. The camera work on the Boston streets kept the movie alive and realistic as well as the special effects which are kept to a minimum during prolonged gunfights, making the movie so unbelievable. The film sprouts out some energy in its viewers as the actions were realistic with respect to the story lines. The director, Scorsese was able to use broad outline to characterize the interchangeable pulp epics within the film, thereby modestly trapping some intrigues from its audience. The film actually transposes some basic materials which demonstrate the approach of hos the characters acted as an undercover within the police force and the criminal. 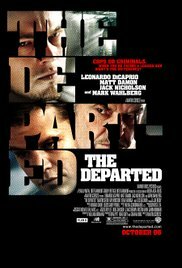 “The Departed” is a very rich and operatic film that had improved on the previous movies directed by Scorsese. Though it lacks romance, but there was character development, cinematography success, great fight scenes, and heavy atmosphere. It is also provided with suspense, drama, great camera work, violence, and a bit of romance. The Departed is a must-see for everyone.